Q42,V22. 530. A desperate plea for help and guidance. Hello everyone. I gave my GMAT yesterday and scored a Q42 and V22. Below I am going to write up the prep materials I used, Please critique my study schedule and flaw in my preparation and tell me what I need to correct. I am taking a month off from work and reappear again. Will it be enough time? (Given my current score) Please let me know. For this particular exam i studied for around twenty days and gave six mocks in the last week. Can you suggest what I need to improve? Based on my scores can you tell me where I stand? Are my basics weak? Should I start from the scratch? What do my scores imply? Looking at the books I’ve completed, do you think I practiced enough at all? I enrolled for manhattan mocks.. Looking back, I scored 580 in their mocks. Please go ahead and let me know, be as brutal as you want. I have a month of time on my hands. Thank you very much. Thank you for your time. I'm extremely lost. Guidance would be greatly appreciated. 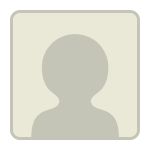 Originally posted by rohit123 on 27 Jul 2017, 18:08. Last edited by rohit123 on 27 Jul 2017, 22:52, edited 1 time in total. I am no expert here but I can definitely help. First of all, understand that one cannot perform to his/her full potential under stress. I believe same goes in the preparation phase as well. I am sure you are familiar with a lot of concepts tested on the GMAT (that is just CONTENT you need to know) But GMAT questions usually test our ability on how we implement those concepts when we solve a question. And that takes time and patience and WORK. FIRSTLY, Take a chill pill. Make a PLAN. Follow it religiously. See yourself Crack that godamn EXAM. Your scores tell me that you need improvement in Verbal. IT will make or break your score. Start with SC. Anyone will tell you that SC is THE area to work on in order to improve your score in VERBAL. Start with Aristotle SC. Go through once or twice. Spend around 2 3 days with the book. You just need to pick up main things you need to know about SC from Aristotle. The main purpose of this to make you really adore "solving SC questions." You do need Manhattan SC or maybe enroll yourself in Egmat SC course. It costs around 4500 or something. Meanwhile, develop a habit of reading at least half an hour every day for the next month before you take exam. Will drastically help you in RC. While solving RC, don't just read the passage, talk to the author of the passage in your head. Abuse the **** out of him, make fun of him. keep yourself entertained while reading it; In turn, it will help you grasp the information. and solve questions better. Powerscore CR bible should do the job for CR. QUANT -- PRACTICE. PRACTICE. PRACTICE. The things I have shared here are some of the things I am implementing in my startegy. TIP -- Don't rush. Appear for the GMAT only when you reach the score you want to have. A Kudo = A thank you. Leave me a kudo if this helped you. IT will help me in turn. I know it will feel tough to get that dismal score. But all I would suggest is to pick yourself up and try for another attempt. I guess you did not put the required effort. 1. You need to brush up your basics, since you lack basic math skills based on your current Quant score. Download GMAT club math book. And go thru all the concepts. Practice 500 level questions from OG. And try to solve all the remaining OG questions. Take Mock and check your progress. If you can reach to Q47 level in at least 3 Mock test. Then try to do the GMAT club tests. Do not do GMAT club tests if you are not really at Q47+ level. 1. 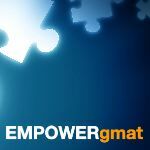 I would suggest you sign up for egmat or empowergmat. Egmat is good for non native, if you are really looking to improve your verbal from V22 to V30+. And once you are done with the course. Practice OG extensively. Both Egmat and empowergmat contains good methodologies to approach verbal. OG is the real deal. Since official guides are retired questions. You need to practice OG to train your ear to GMAT style of writing. And then you would get to know where to improve what to reach V35+ or even V40+. For Verbal- Practice only from official guides. No other source. Just Official Guide. EGgmat is good for the verbal . Try to go for it if you feel like you haven't got the basics covered. Make a plan and try to execute it. 2) What is your goal score? 1) Many Test Takers who use a 'book heavy' study approach end up getting 'stuck' at a particular score level. Your prior studies were 'book heavy' and your list of study materials is also 'book heavy.' Thus, to hit your score goal, you might need to invest in some new, non-book resources. 2) It's important to remember that taking lots of CATs will NOT make you a better Test Taker. A CAT is really a 'measuring device' - when used correctly, it will give you a realistic score and help define your strengths and weaknesses, but it will NOT help you to fix any of those weaknesses. In addition, it takes a lot of effort and energy to complete a realistic CAT - and it takes time to 'recover' from that effort. To raise your scores, you have to put in the necessary practice and repetitions. The CAT will show you whether your studies are helping you to improve or not. Considering all of this, you really shouldn't take more than 1 FULL CAT per week. I studied for around twenty days. Around half an hour to one hour each day. Last week of the three weeks, I gave the mocks. My goal is to get a 700. I am planning to apply this october for round one. During my preparation, I hardly touched the official guides. It was probably poor planning? Like you said, it was meant to be book heavy but I hardly finished any books as well. In the exam, I ran out of time in both the sections and plain up had to guess the last ten questions in both the sections. My speed was not good enough. In the diagnostic test, I got around 550 too. I am applying for rottman school of management, university of toronto. I have one month more. I am not working right now so, I have all the time for the next one month. Do you think it is realistic to assume that I can reach the goal of 100 plus point increase? Do you think my math and english basics are weak? What do you think q42 score in quant and v22 implies? Should i start my preparation from scratch? Can you suggest an effective study plan? Should I spend more time on verbal? Thank you so much for your time and your valuable insights. Greatly appreciate it. Hello, Thank you for replying.Should I stick to solving the books you mentioned and the OG then? It seems like I hardly did the right practice.I shall pick up aristotle/manhattan and go ahead. What do you suggest I do for quant? Which sources? I have enrolled for manhattan prep mocks for now. Your post is really motivating. Thanks a ton. Originally posted by rohit123 on 27 Jul 2017, 23:01. Last edited by rohit123 on 29 Jul 2017, 02:05, edited 1 time in total. Many Test Takers spend 3 months (or more) of consistent study time before they hit their 'peak' scores, so the fact that you studied for just 20 days (and barely at that) helps to explain why you did not score higher. Raising a 530 to a 700+ is a 170 point increase and will require that you make significant improvements to how you handle BOTH the Quant and Verbal sections. All of that work will likely take you at least another 3 months of consistent, guided study - so it's not realistic to expect to be able to achieve that goal in just 1 month (even if you plan to study 'full time'). As such, some changes to your plan/timeline will likely be required - re: changing your score goal, changing your Test Date and/or changing when you plan to apply to Business School. While I understand that this information will probably not make you 'happy', you have to remember your REAL goal: to get into your first-choice Business School. If you don't have the proper GMAT Score, then an approaching application deadline really doesn't matter... and you can always apply for a later Application Round. The GMAT is a consistent, predictable Exam, so you CAN train to score at a higher level; the key element though is the 'training' - that work takes the proper commitment and time. 1) What is the next application deadline for Rottman after October? Alright then. I'll give gmat in a month just to give myself a shot. Can you tell me what is a realistic goal for a month of test preparation time? As I told you before, the main problem was I was running out of time and felt fatigued when I entered the verbal section. Can you suggest some books I can use or the content I need to follow to improve myself? Are both my quant and verbal scores pathetic? Should I work on both equally? What should I start with? The OG? Rottman round two is in around december I think. To start, it's important to note that I think that you COULD potentially score a lot higher than this 530 - IF you put in the necessary time and effort to hone your Test-taking skills. I also think that it's important that you try to better define the type of GMAT Score that you would be satisfied with. In real basic terms, what Score would you need to see to decide that you were done studying for the GMAT? If you would be satisfied with something less than a 700, then we need to know what that number is. To be clear, I do not think that you should take the GMAT in one month (and it's unclear what you mean when you say that you want to give yourself "a shot" ... a shot at what exactly? A 700? Because - based on this recent Score - that's almost certainly NOT going to happen in one month's time). Taking the GMAT at that time would likely 'cost' you in 3 different ways. First, it will cost you $250 (and you would almost certainly have to repay to retake the GMAT later on). Second, it will disrupt what your study routine should be - since you'll have to alter your activities during the last week before your Exam and you'll need to 'recover' afterwards. Third, if you again score in the low-500s, then that could significantly impact your confidence (and attitude towards this whole process) going forward. Realistically, with the proper materials, the proper Tactics and a consistent study routine, I suspect that you might be able to improve 50-70 points in this next month. That's completely dependent on your ability to adapt how you "see" (and respond to) this Test though. If you treat the GMAT in the same ways as before, then you will likely score at the same general level.